Windows 10 April Update has already upgraded 250 million devices thanks to new AI platform, Microsoft says. Microsoft has hailed the positive effect of AI on users upgrading to the latest version of Windows 10. 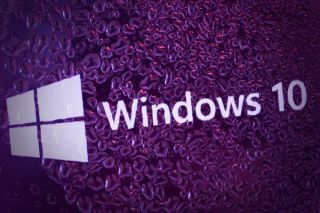 The company has highlighted how AI has allowed it to deliver the Windows 10 April Update to more users than ever before, with reportedly fewer issues and headaches than ever before. Microsoft's AI system is able to detect which Windows 10 devices are most in need of an update, targeting them for earlier releases. The company debuted the project during last year's Fall Creator's Update rollout, and said it saw, "higher satisfaction numbers, fewer known issues, and lower support call volumes compared to previous Windows 10 releases." The system also allowed the update to install faster, reaching 250 million devices in less than half the time of the previous Fall update. Microsoft then took the learnings from that rollout and applied it to a new AI machine learning model that taught the update platform how to identify devices most in need of an upgrade. This has also meant that Microsoft is now able to offer the April 2018 update available to all compatible Windows 10 devices across the world. The update will now roll out automatically to applicable devices, including Enterprise customers. "The ability to rollout an updated version of Windows 10 safely at massive scale and velocity leveraging AI allows us to ensure the broadest number of customer devices have the latest security, technology and features in the shortest period," wrote John Cable, director of program management, Windows servicing and delivery. The news comes days after a UK watchdog ordered Microsoft to provide more assistance to users struggling to upgrade to the latest Windows 10. Research from Which? found half of Windows 10 users have experienced computer problems and issues almost three years after Microsoft launched the latest version of its operating system.